I’m leading a lecture at CineVic next month, this time dedicated to the 2nd Act. It’s understatement to say how much I love sharing my experiences with writing. And if you don’t know much about CineVic yet live in Victoria want to get involved in film, check us out! I owe a lot to them and their facility. Details on my workshop are below! Anyone who’s attempted to write a screenplay will immediately lament the dreaded second act. So overwhelming, it has the potential to halt your progress indefinitely. 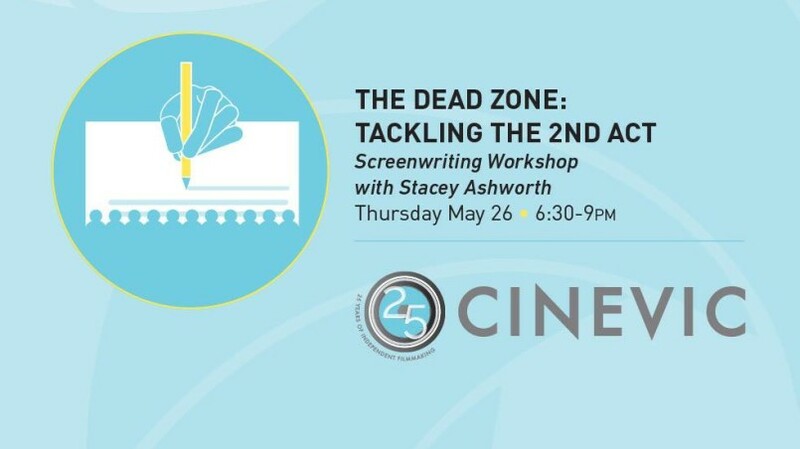 Led by Stacey Ashworth, an internationally-screened scriptwriter and experienced story analyst, this class will reveal the tools and tips available to writers who struggle with their second act. The evening will include a tailor-made lecture, in-class exercises, and examples of popular film and television. While the class will open up with a refresher on the three act structure, please note that we will not be reviewing the screenwriting format or style. If you are new to screenwriting, it is recommended to read two or three contemporary screenplays before coming to class (contemporary being the year 2000 and onward.) Questions are welcome, but the focus of the lecture will be on story structure. If the class ends early, Stacey encourages you stay behind to chat! We hope to see you there!